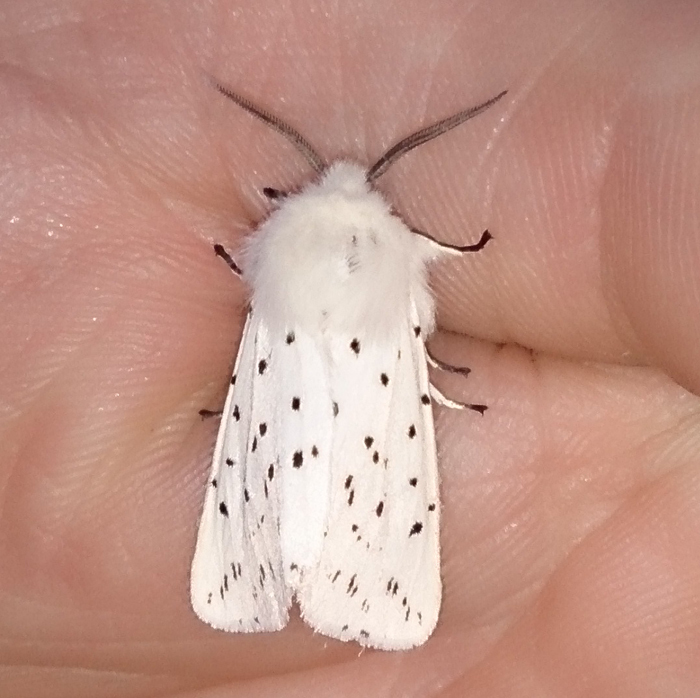 The White Ermine is widely distributed around Britain and flies from May to September. It is distasteful to birds, which is an attribute that is possibly also of benefit to the Buff Ermine which shares a similar appearance. This particular moth was found near the Ynys Hir reserve whilst there for Springwatch in 2013.